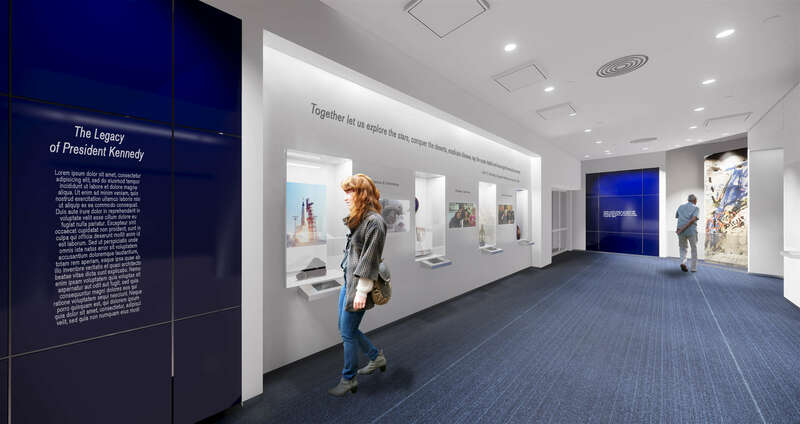 IKD is currently acting as the architect for the design and renovation of the library’s Legacy Gallery, which highlights domestic and international accomplishments that have been inspired by the legacy of JFK’s life and administration. IKD is collaborating with the library’s in-house exhibition designer, media designer, and graphic designer to completely re-envision the space, including adding multimedia interactive elements, updating lighting and finishes, and negotiating existing structural and HVAC conditions to incorporate new, more functional casework for better display of artifacts. The project will completed in the winter of 2018, and is funded by both the Library and the Library Foundation.